Companies devote countless hours and resources into researching, developing, and deploying their online training strategy. However, one of the most important aspects of any online training strategy is to know how to properly evaluate its effectiveness. Is it really working and is it boosting performance enough to justify the investment? Here are 10 tips that can help you evaluate your online training strategy. 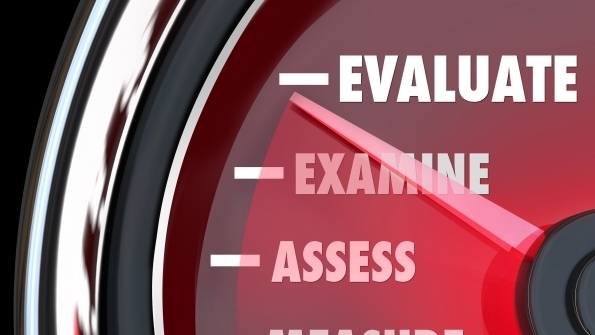 One of the most powerful tool you have at your disposal is assessments. Quizzes, exams, and tests give you the opportunity to determine if individual employees are actually absorbing information and developing skill sets, or if they are falling behind and need additional help to boost their on-the-job performance. Additionally, assessments let you know if certain aspects of your online training strategy need to be fine-tuned. For example, if the majority of your employees aren’t able to pass a specific assessment, then you may want to take a closer look at the module to see if it’s providing them with the proper information and the online training activities they need to effectively improve their performance. Course tracking gives corporations the power to view detailed information about a specific employee’s on-the-job performance, training data and other key statistics. Such data can be used to not only gauge the employee’s progress, but also to identify areas of the online training course that may need to be modified. For this reason, it’s important to ensure that your LMS has tracking features that you can use to evaluate your online training course and the individual employee performance as well. Surveys and polls give you invaluable insight into the minds of your employees, which can offer you the opportunity to identify the strengths and weaknesses of your current online training strategy. Ask them to complete a survey once they’ve finished the online training event or module to get an accurate sense of what they have acquired, how they feel about the online training experience as a whole, and any other recommendations they have about how you can improve the online training. A boost in both employee performance and business improvement are the key goals of any online training strategy, regardless of the industry or niche. As a result, it’s important to have measurable goals in place that you can track, in order to verify the effectiveness of your online training strategy. What professional behaviors do you want to improve? Are there specific sales goals you want to meet? Do you want to improve customer satisfaction ratings by a certain percentage? 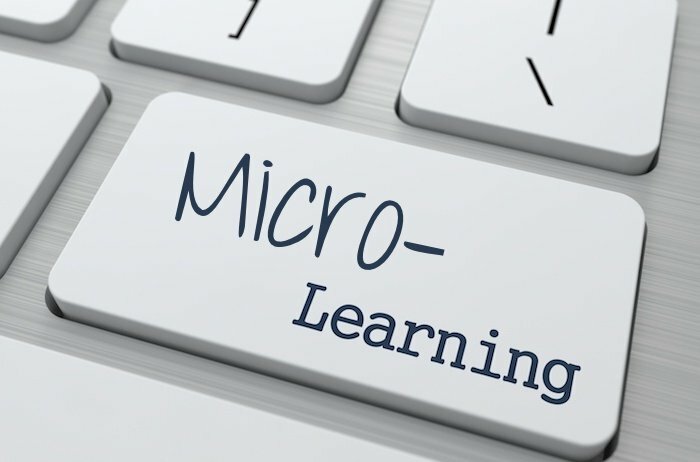 The only way an online training strategy can truly be effective is if the employees are actually applying in practice the knowledge and skills they have learned in the virtual classroom. You can gauge this by carrying out on-the-job performance evaluations and observing employees while they interact with customers and perform specific work tasks. While online training may be mandatory, employee satisfaction is a key indicator of the success of your online training strategy. After all, if your employees are not happy with the online training course, then they are less likely to actually participate and get the most out of the whole online training experience. This is why it’s essential to measure employee satisfaction (through polls, interviews, etc) and to determine if they are satisfied with every aspect of the online training. Another benefit of this is improved employee retention. Holding focus groups with a diverse range of employees, including managers and employees from different departments, will enable you to collect in depth valuable feedback. You can ask them questions about specific aspects of your online training course that may be ineffective, or get their opinions about your online training strategy, in general. To evaluate your online training strategy it’s essential to take a closer look at whether the performance results you are achieving are actually worth the investment. For example, if the goals you’ve set are not being met, you may want to identify the weak areas of the online training strategy to find out what needs to be improved to maximize your resource allocation. Employees need a solid support structure in place in order to get the most of their online training experience. Those who may be falling behind or not achieving performance goals will, ultimately, benefit from additional online training and assistance. An effective way to evaluate your current online training strategy, is to assess the level of support you are offering your employees by identifying individuals who are not meeting their objectives. Then interview them to determine what types of supplemental training may be necessary. The online training strategy you have in place will, most likely, have to evolve over time to meet the changing needs of your corporation. However, its basic infrastructure should stand the test of time. Is your strategy cost efficient to maintain in the long run? Is it going to be able to provide your current and future employees with the skills and knowledge they need to fulfill their job roles? When evaluating your online training strategy, it’s essential to look at whether it meets your objectives now and over the course of the next few years, as well. No matter your industry sector, you can use these online training strategy evaluation tips to determine whether your online training strategy is on the right track or needs a major overhaul.